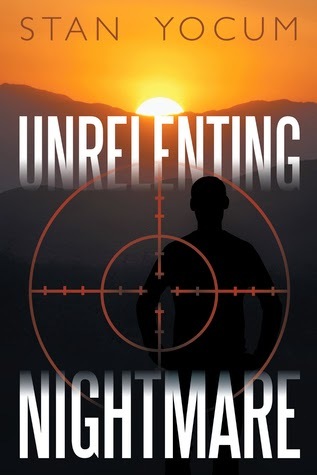 Stan Yocum, an American author, has penned a gripping thriller, Unrelenting Nightmare which is about a contract killer hired by high profile personnel for their revenge benefit, and when he is hired by another high profile client to kill off his competitor, things go real wrong for that contract killer, named, Nomed. Stuart Garrison, a brilliant virtual reality software developer, has his company poised on the threshold of industry dominance with the release of his newest virtual reality system--Next World. Among his competitors is Preston McBraid, the cutthroat CEO of a rival company. McBraid realizes that if he does not own Next World, his company is bound to lose its premier position atop the computer industry. Driven by desperation and greed, McBraid hires the notorious Nomed, a highly sought-after assassin who commands millions to kill a target. The FBI learns of the assassination plot and intervenes to protect Stuart. He in turn quickly augments the FBI team, hiring two security specialists as additional defense: a monster of a man, nicknamed Superman--and Alex Nichols, an expert in the field of security. Stuart clings desperately to the hope that he can make it though the onslaught of Nomed's assassination attempts. If he does, his next ingenious virtual reality product--Mind Games--will blow the world away with its originality and staggering mass appeal, and catapult Stuart to the top of the computer industry as its reigning czar, and make him a billionaire many times over. In this gripping suspense thriller, the wannabe czar of the computer industry is unwittingly catapulted into a deadly cat-and-mouse game against the infamous Nomed, and only time will tell who is clever enough to survive. Nomed, a.k.a, Cameron Clark, is hired to finish off Preston McBraid's rival, Stuart Garrison, who is a virtual reality software developer and on the wake of his new product-New World, McBraid has made it sure that in no means Garrison becomes the next billionaire. 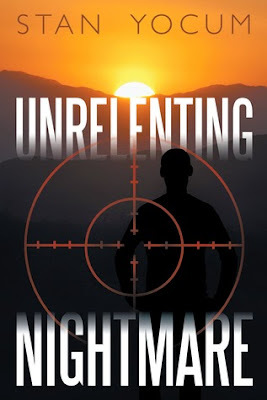 Caught in between Nomed's mission and Garrison's personal security is a young woman named, Alex, who would go to any level to kill that contract hit man, even if she has to risk her own life. Unfortunately, in Nomed's record, he has never missed a shot and whoever comes his way, finds themselves in the same fate as his target. The writing is very fine and clear and with the simple and easy narrative style, it was easy for me to contemplate and blend into the storyline. Another nice thing was that the author have used a lot of back stories to support each and every one of his characters be it the primary or just the supporting ones. The fast and articulate prose made it easier for me to remain engaged till the very end. The author have layered his plot with lots of twists and unpredictable turns that made the story yet more edgy and thrilling. Although this is just a cat-and-mouse-chase kind of story but it was interesting to see how some of the supporting characters got dragged into this chase and Nomed left quite a huge number of body count in his mission which went terribly wrong due to private security professional, Alex. The characters though a lot of back story were provided on their behalf, still couldn't spark up an interest in me. They felt very flat and one-dimensional without much development. With the progress of the story, the plot moved forward, but the characters just stopped developing. Other than that, it's an intriguing thrilled that is surely going to keep anyone glued till the very last page. Verdict: Read this no-fuss thriller about a contract killer's high profile killing spree which will keep you on your edges. Courtesy: I received this book in return for an honest review. I am one of those people who, for some reason, switched from the dominant side of their brain (right vs. left) to the other side. When I was young, I enjoyed drawing (right brain influence) and took art classes in high school and college. During my second year in college, I stopped drawing and changed my major to theater arts and ventured onto the stage. I loved acting, and after graduating I tried to make a living in the entertainment industry. After four years, though, and not making nearly enough to live on, I decided to go back to school. And here is where I made my first shift in dominant side influence. I enrolled at USC in accounting (can’t get much farther left than that), graduated and was hired by one of the nation’s largest accounting firms. After seven years, I left and with a partner started a consulting firm. We were successful and had a number of exclusive companies as clients. It was during this time that I started accumulating a wealth of information and knowledge about the business world, which I would later use in my novels. In 1992, I was sitting in a seminar when I suddenly decided that I had spent too much time using the left side of my brain. I literally got up, walked out of the seminar, went straight home and began writing a children’s story. I submitted the story to a number of literary agents and received some positive feedback about my writing style. I continued to consult, however, but my hunger and desire to write had taken on new proportions. During the next eight years I worked with a variety of companies. This afforded me more opportunities to learn and gather information about the inner workings of corporations and top executives. However, what really sparked my desire to once again venture into the writing arena was what I learned about the darker side of the business world! I was eating dinner alone one evening in 2001, when a I realized that if I didn’t start writing right then, I would undoubtedly regret not having done so later in my life. It was at that moment that I made the full swing back to the right side of my brain. The next day, I started writing my first novel The Price of Admission, and have loved every minute since then sitting in front of my computer and creating new stories.